When it comes to make-up, the local drug store is the perfect place to shop. 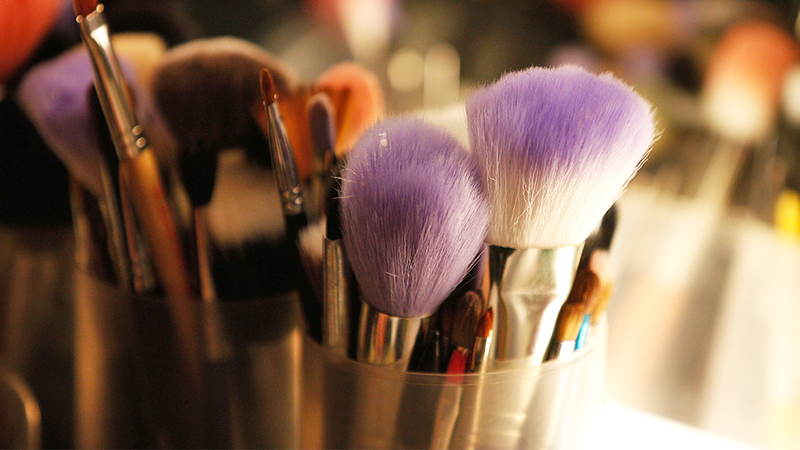 The average woman will spend $225,360 on makeup in her lifetime. That is, roughly speaking, the same cost of 220 plane trips to London, 643 tickets to see Hamilton on Broadway or 820 tickets to Bonnaroo. Now, I would never go to see Hamilton 643 times, but I am known to show up to school with a full face of makeup. That being said, I highly doubt I spend the hefty price tag of $3756 per year. By using drugstore makeup, a full face of makeup costs less than $30, the same cost as a single NARS blush. Every iconic makeup look starts with a solid base, more often than not a primer. My personal favorite high end, the Benefit Porefessional primer, costs over $30 and the bang is not nearly worth the buck. After searching through Pinterest and Tumblr, it became clear that the best dupe is a fifth of the price and can be found in just about Walmart, CVS or Dollar General; the Maybelline Baby Skin. Both primers have a slight blurring effect on the skin and allow foundation to go on smoothly. The biggest difference belongs to the color, the Benefit primer is a pale peachy pink while the Maybelline primer is clear. Opinions on foundation vary greatly. Some people have one ‘ride-or-die’ foundation that they stick to while others, like myself, experiment with a different foundation every day of the week. As a general rule, L’oreal foundations are incredible. The infallible line ranges in price from $9 to $15 depending on where it is bought. The shade range is reminiscent of the Fenty foundation line at a fraction of the cost. The L’oreal infallible line comes in 30 shades with a range of matte, dewy and demi-matte finishes suited for oily, dry or combination skin; the Fenty Pro Filt’r Soft Matte Longwear foundation comes in 40 shades, but only comes in a matte finish. Concealer is the multi tasker of the makeup world, used to carve out brows, cover dark circles, define lips and highlight the face. It is a necessary no matter if the look is high glam or boy beat. Due to the amount of product used, some people have to get a new tube every two months and depending on the concealer, that is a big strain on the wallet. The NYX HD Photogenic Studio Concealer comes in at a solid $6 at Ulta with a 20 shade range. The coverage is easily buildable, and from someone who has tried the Tarte Shape Tape concealer, I prefer the less expensive counterpart. According to former makeup artist turned actor, Jeremy Renner, brows are among the most important aspects of makeup. In the actual interview, he said brows, lashes and lips because they frame the face, but I only need his part on brows. They are another staple of all makeup looks, but the way people do their brows vary greatly. There are some days I darken and fill in my brows and others that I go ahead and just use clear gel, but no matter how the brows are done, products can get insanely pricey. For filling in brows, I use the LA Colors Browie Wowie because the pencil is nearly identical to the ABH Brow Wiz at a tenth of the cost. For clear gel, my default is the ELF Clear Brow and Lash Gel, a dual use product at a mere $2. I am not sure if there is a high end version, but there is no need to ever pay more than $2 for clear gel. For eyeshadows and setting powders, I do not have any exact dupes for anything. Yes, there are incredible dupe palettes out there and super high quality drugstore setting powders, but I have yet to find any that are exact dupes for anything. That being said, for eyeshadow, I have an entire brand to recommend, Profusion. The brand makes low cost yet high quality eyeshadow palettes and are releasing new palettes around February of this year. Most of the standard palettes cost under $15. For setting powder, I have to offer up Shop Miss A’s AOA Studio Perfect Loose Setting Powder. It costs $1. The powders are finely milled and perfect for baking, and the part I love is that they come in multiple different finishes. Kat Von D is known for her impeccable lipsticks and fierce liners and I have always been a sucker for her cosmetics; however, since a few interesting choices, such as naming one of her shades ‘Underage Red’, I have decided to no longer support her or her business. One issue though, her Everlasting Liquid Lipstick in the shade Outlaw was my go to red. From there, I experimented with red lipsticks for a while, until I found one that has the exact same color. At $5.00, Wet N Wild’s Liquid Catsuit Lipstick in the shade Missy and Fierce looks the same aesthetically. As for formula, I will admit I prefer Kat Von D’s, but Wet N Wild’s nice as well, but in the end, both make for a beautiful, transfer proof, red. Eyeliner is a pain. It just is, there is no lying, no special tips or tricks, eyeliner is a royal pain and I do it, every single day. On that note, I need an eyeliner that can stand up to my genuine emotional rollercoaster of a life. Tears welling up because I saw a duck that was too small, sweat from kickboxing and forgetting I put on eyeliner then rubbing my eyes are a part of my everyday life. There is only one eyeliner, high end or drugstore, which I have used that can honestly keep up. The ELF Intense Ink Eyeliner manages to keep up with everything I do in a day with minimal smear. There have been nights that I forget to take off my makeup and even if the rest ends up on my pillow, my eyeliner looks as good as it did when I put it on. Profusion takes a second item on this list because of their Blush and Bronze Palette. The palette is $10 and it has dupes for multiple blushes as well as three bronzers that are genuinely great to work with. The blushes are super pigmented but still blendable and I have found that layering them can give a nice dramatic effect. Since highlighting goes along with this category, I feel like it is high time to talk about my favorite shimmery powders on the market. Now, there is always the high end option of a Becca Shimmering Pressed Highlighter, but why pay $38 when AOA Studio makes brilliant highlighters for $1. Makeup can be a beautiful thing and it does not have to be incredibly expensive either. There are drugstore priced products and brands being held to the same standards that high end brands are being held to. As makeup users continue to expect a higher quality from brands at all price points, better products will be made to fulfill the demand.